From VA 10 EB. Note the erroneous VA 145 southbound trailblazer. There is nothing but a shopping center that way. Photo by Mapmikey, taken May 5, 2006. 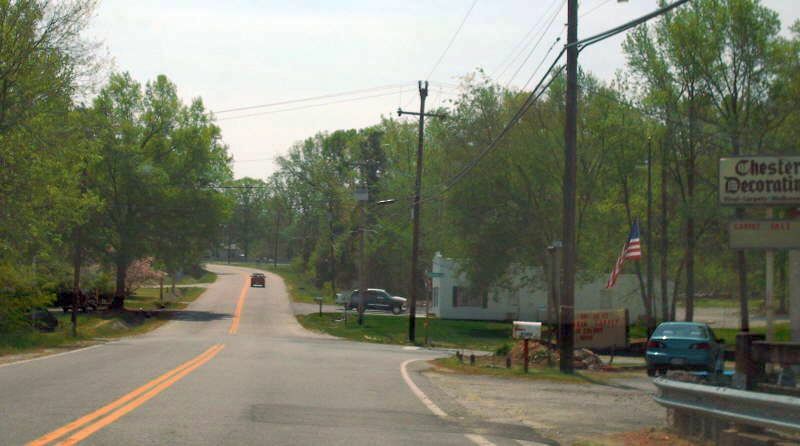 Approaching VA 10 on VA 145. Photo by Mapmikey, taken April 24, 2007. 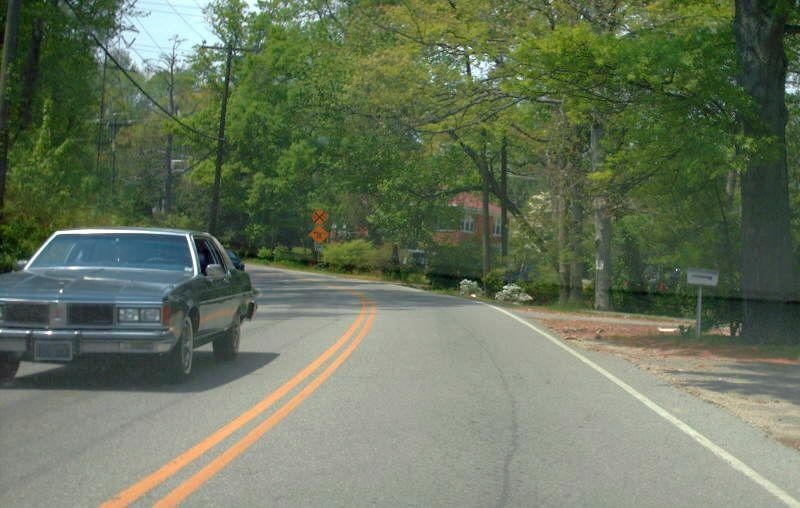 On VA 10 west there is a second generation of VA 145 south error posting. VA 10 is also the only place with N-S postings. All other 145 shields are E-W. Photo by Mapmikey, taken April 24, 2007. 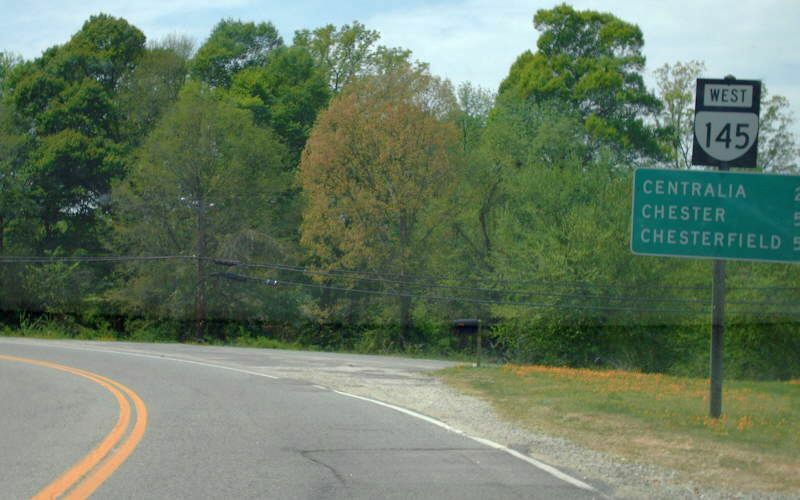 Beginning east down VA 145. Photo by Mapmikey, taken April 24, 2007. VA 145 from US 1-301 northbound. Photo by Mapmikey, taken April 24, 2007. VA 145 from US 1-301 southbound. Photo by Mapmikey, taken April 24, 2007. 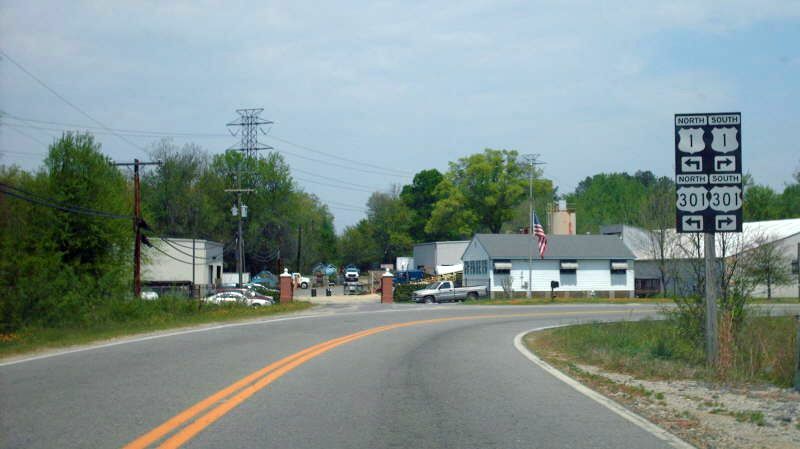 Beginning down VA 145. Photo by Mapmikey, taken April 24, 2007. 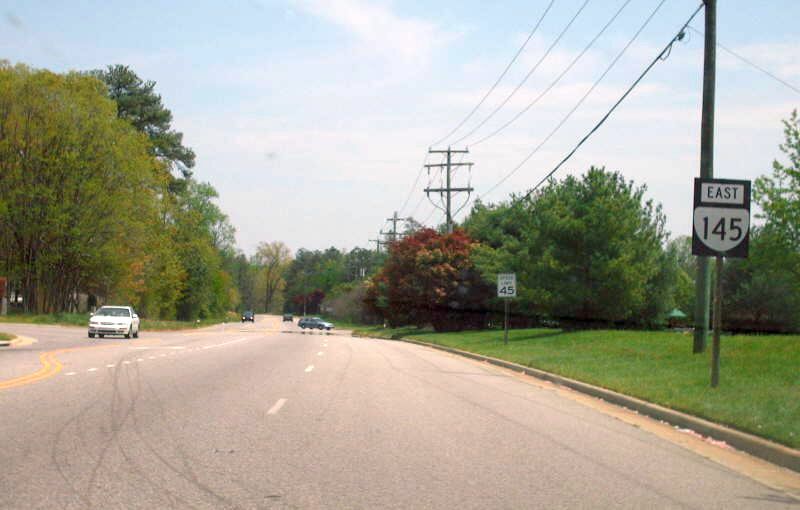 VA 145 approaching US 1-301. 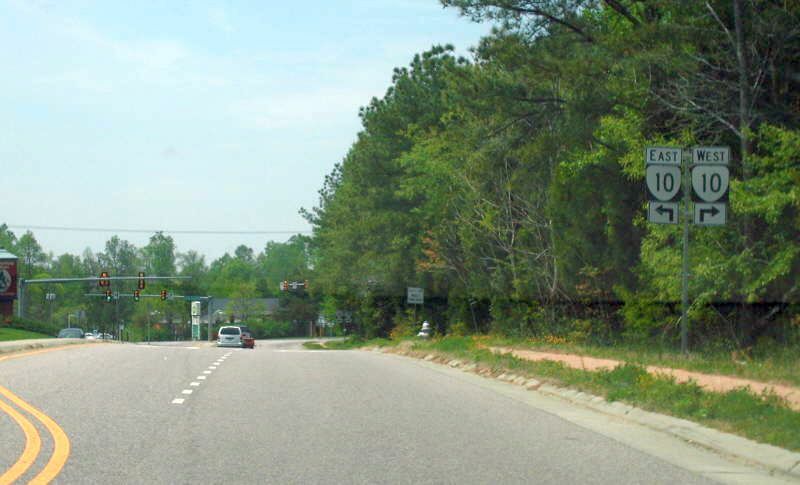 Original US 1 ran straight between the two brick pillars at the curve. Photo by Mapmikey, taken April 24, 2007. From 1933-34, VA 145 ended here, just short of its current ending. 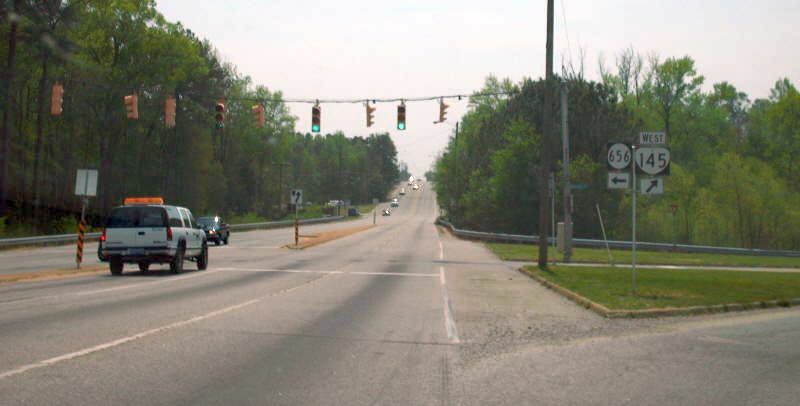 This is looking northbound on old US 1. Photo by Mapmikey, taken April 24, 2007. 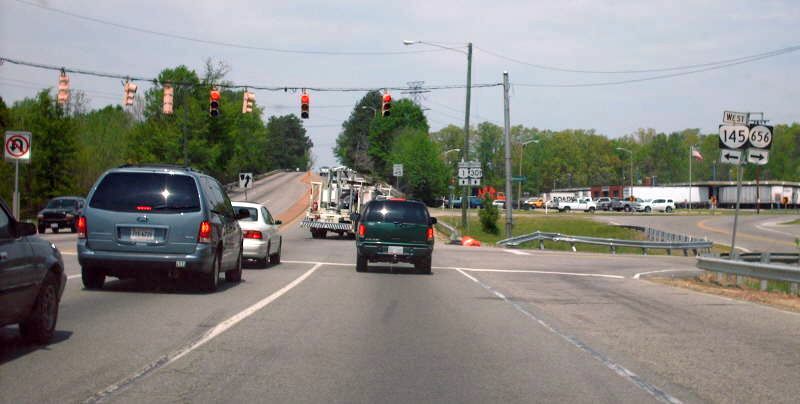 This is looking southbound on old US 1, as VA 145 turns right (unposted!). You can see US 1 was a 3-lane road here, and the bridge right behind me shows it was 3-laned in 1931! Photo by Mapmikey, taken April 24, 2007. 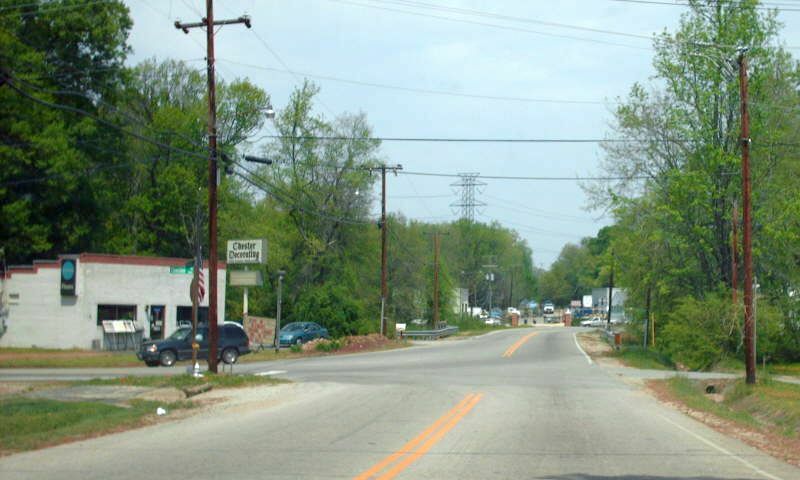 This is looking east on VA 145 leaving old US 1. Photo by Mapmikey, taken April 24, 2007. 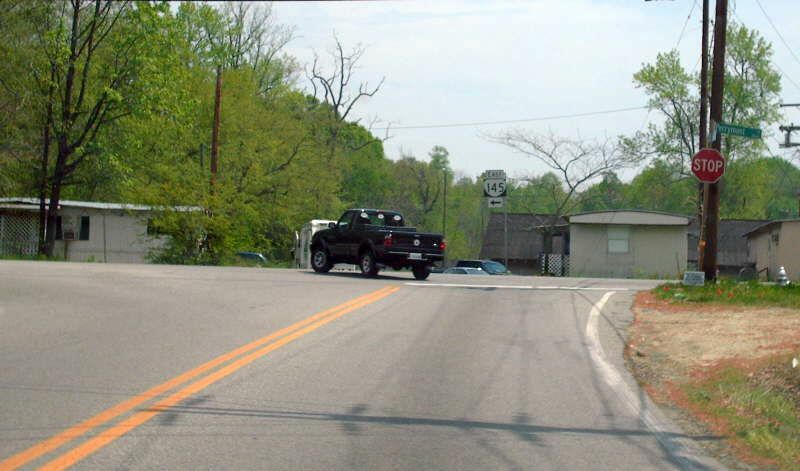 This is looking west on VA 145 leaving old US 1. From this direction there is a VA 145 shield directing the action. Photo by Mapmikey, taken April 24, 2007.